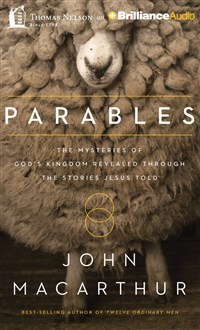 Pastor-teacher John MacArthur helps listeners understand Jesus’ parables and how they relate to the whole of His message. John MacArthur, the author of numerous best-selling books that have touched millions of lives, is pastor-teacher of Grace Community Church in Sun Valley, California, and president of The Master's College and Seminary. He is also president of Grace to You, the ministry that produces the internationally syndicated radio program Grace to You and a host of print, audio, and Internet resources. He authored the notes in the Gold Medallion Award-winning The MacArthur Study Bible. For more information, contact Grace to You at 1-800-55-GRACE.